It’s always more than a sticker on a car. 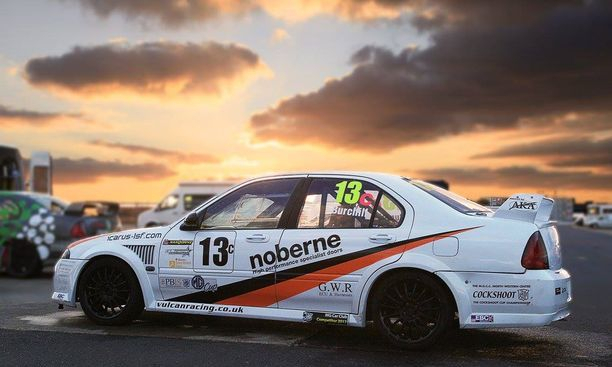 . .
As a small privately run owner driver race team we rely on the support of sponsors, to allow us to compete through-out the year in both MGCC Championship & MGCC/750MC endurance events. 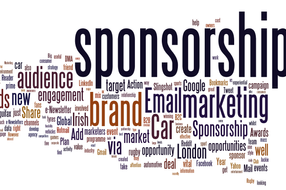 We currently have opportunities for both product and financial support for the 2018 Season. For both For both MGCC Championship and MGCC / 750MC Endurance races. Oh yes and of course some stickers on the car! What will it cost your business? http://www.vulcantothesky.org/ - Vulcan to the Sky trust - To preserve and protect AVRO Vulcan G-VLCN (XH558). The iconic plan from which the team name was inspired. Please look round his site, what a cracking project. Design, form and function one of the few good things from the cold war. 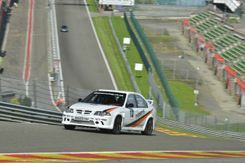 http://www.mgcc.co.uk/ - The worlds biggest one make car club supporting all MG cars and with the UK largest One Make race series. Why You Should Join The MG Car Club CAN you really afford not to become a member of one of the best Car Clubs in the World? Becoming part of the MG Car Club is very straight forward - there is no joining fee, simply a modest annual subscription. You can join online at any time on this website or you can telephone the Club Office in Abingdon on 01235 555552. Established 30 years ago, the MGCC MG Cup - Sponsored by Peter Best Insurance is the UK’s most popular MG racing series and is the only championship for which any MG model is eligible. With tight regulations allowing for close racing in 3 classes. 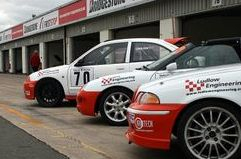 The MG Cup has over 30 cars racing at some of the best UK circuits. MG Cup - 2018 MGCC Provisional Race Meeting Dates all of which are double header events. 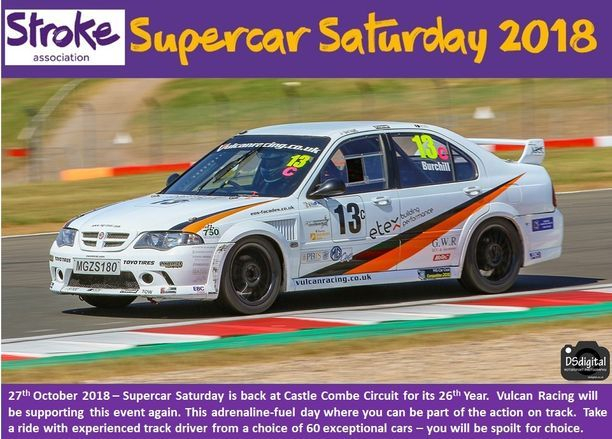 Charity Events - Stroke Association Super Car Saturday on 27th October at Castle Combe this will be the 10th year the team support the event. Previously we have had celebrity guest drivers Anthony Reid (BTCC) and Slim Borgudd (F1) raising money for this worth cause. Each year fellow petrol heads raise over £15K for The Stoke Association at this event. The team Will be again heading to Spa in 2017 offer our sponsors the chance to join us at one of the best circuit in the world. Sponsors trackday at Silverstone - a chance for the cars to be showcased and sponsors entertained 10 guests enjoyed a day on the famous GP circuit with 3 of the team cars.